If you were watching the 2011 Daytona 500, I think you have to admit, it was a pretty neat finish. At 20-years-old, Trevor Bayne became the youngest driver to win the biggest race in all of NASCAR. He became the first driver to win the 500 in his first attempt since Lee Petty took the very first one in 1959. And he was driving for one of the oldest, most respected teams in the sport, the Wood Brothers, complete with a throwback paint scheme. First, a little about Bayne, since no one knows where he came from. He just turned 20 the day before he won the Daytona 500, so his resume isn't going to be too long. He won a bunch of go-cart championships as a younger kid. He went on to race in the USAR Hooters Pro Cup Series, then the NASCAR Camping World East Series in a Dale Earnhardt, Inc., car. He was good enough that he was eventually picked up by Michael Waltrip racing to run their Nationwide Series car. Sponsorship ran out on that deal, and he ran a couple of Nationwide Series shows for Jack Roush's team. 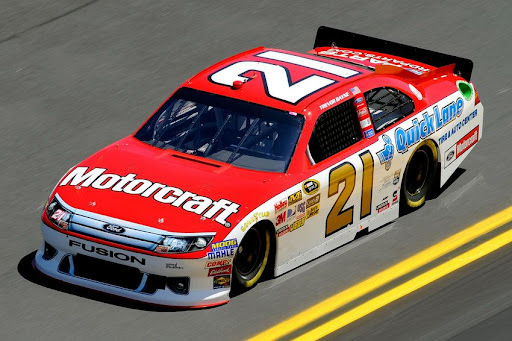 And finally, he was hired to share the #21 Ford with Bill Elliott for the 2011 NASCAR Sprint Cup Season. Bayne was stellar throughout Daytona Speedweeks. The new surface on the 2 1/2-mile Daytona International Speedway contributed to an unusual phenomenon where two cars could draft and race together, while the big long trains of cars that we've been used to were nearly impossible to run without wrecking. During the Gatorade Duals qualifying event on Thursday, Bayne became the perfect drafting partner for four-time Sprint Cup champion Jeff Gordon, and the pair stayed near the front for most of the day until a late-race crash. While many of the veteran drivers were trying to unlearn old habits, Bayne took to this new type of racing almost immediately. Early in the 500, Gordon again tried to use Bayne as a drafting partner, but Gordon was caught up in a huge wreck early on, and Bayne had to keep himself in contention by drafting with other drivers for the rest of the race. At the end, Bayne nudged out a charging Carl Edwards with a little drafting help from Bobby Labonte to win the crash-filled event. After the race, you could hear the shocked winner yelling out, "are you kidding me?!" He truly seemed humbled and shocked that he was able to make this happen. It was an underdog story of the best kind, and the happiness and innocence of this young driver just had to make you feel good. 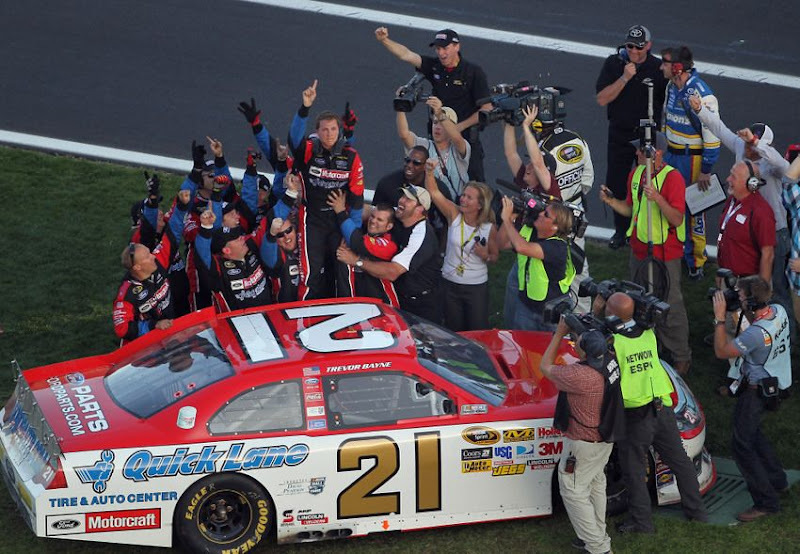 Making the win even more special was the car that Bayne was driving. Most race fans are familiar with the red, white, and gold-numbered #21 Ford, which has been showing up at races virtually since the inception of the sport of NASCAR. Brother Glen Wood drove a few races early on, but their legacy was written as that of successful car owners. The list of talent that has piloted the #21 machine over the years is like a who's-who of NASCAR greatness. Curtis Turner, Tiny Lund, Dan Gurney, Donnie Allison, A.J. Foyt, Junior Johnson, Jim Clark, Fireball Roberts, Fred Lorenzen, Cale Yarborough, Kyle Petty, Neil Bonnett, Ricky Rudd, Dale Jarrett, Michael Waltrip, Elliott Sadler, Ken Schrader, and Bill Elliott have all taken turns behind the wheel. 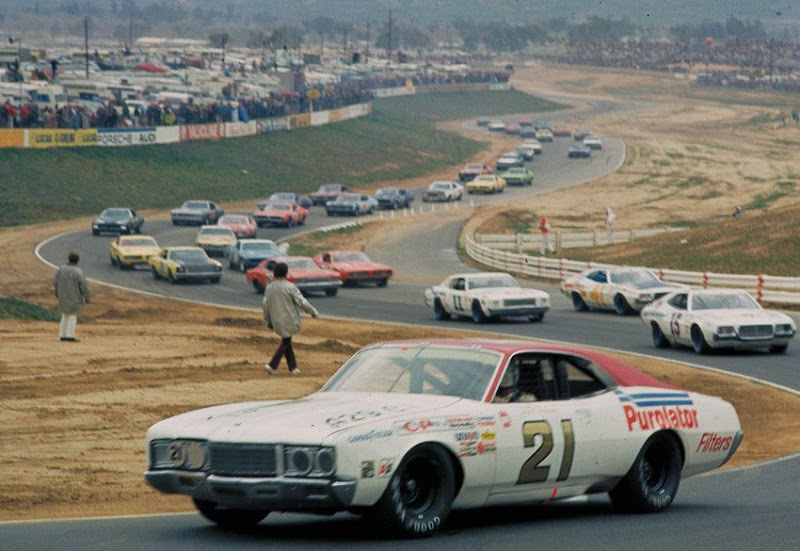 But the most successful driver the Wood Brothers ever had was the great David Pearson. 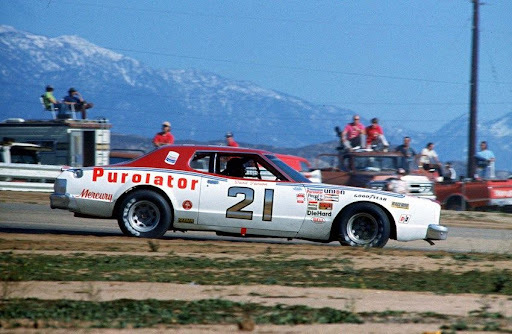 The Silver Fox became the Wood Brothers' exclusive driver in 1972, and together they managed to rack-up 51 poles and 46 victories in only 143 races. Many believe that Richard Petty's seven championships may have been in jeopardy had Pearson and the Wood Brothers completed the entire NASCAR schedule during the 1970s instead of the select events in which they chose to compete. The Wood Brothers were able to beat out Richard Petty for one last record. When, through a number of mergers, Petty Enterprises ceased to exist in its original form, The Wood Brothers racing team became the oldest team in NASCAR. And for the entire time, since 1950, they have always run Ford products. Bayne's Daytona 500 win is the first for the Wood Brothers since Elliot Sadler won a race for them nearly ten years ago. It is their 98th victory, and their fifth Daytona 500 win. Normally, you'd see pictures from today's race, but since we're more into automotive history here, I'm including a slideshow of Wood Brothers stock cars from over the years. 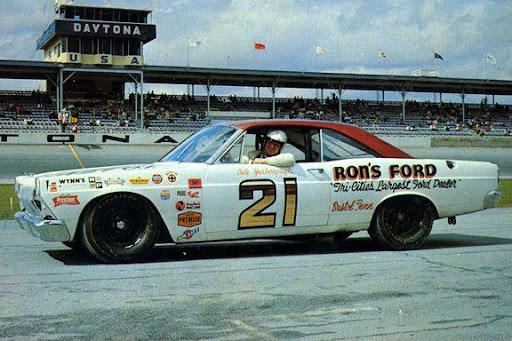 You can see how Trevor Bayne's car was painted like David Pearson's car from the 1970s, and you'll get an idea just how much history this team actually has in this sport. Most of them are either from NASCAR Media or Ford Media. Enjoy!